Late last year, many MTN subscribers in Nigeria got the "incomplete registration notification". The importance of this exercise is evident in the sudden queue that has surfaced nationwide in MTN offices across the country as lines were made inactive in compliance with NCC directives. 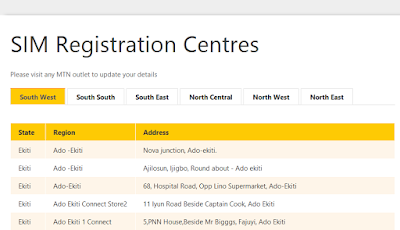 Nevertheless, MTN Nigeria has published the list of accredited Sim registration centres around the country. 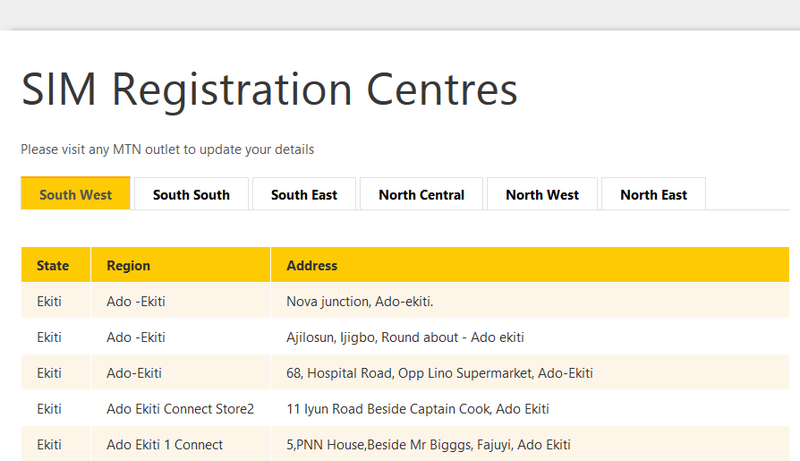 The sim registration centres has been listed based on the 6 Geo-political zones for easy search, just click this link >> http://mtnonline.com/simregistration to search for the nearest centre in your area.